"We knew it would take off, but we weren't expecting it to fly!" Don't get me wrong, we're thrilled with the level of success, we just weren't quite prepared to keep up with all the demands on our time, imagination and skills. We're finding balance. One of the list of points we discussed as part of our Mission Statement right from the get-go was to produce helpful tips, share insights, and just be available in general to the blogging community. After all, we were all novice bloggers at one time, and it can be overwhelming and confusing if you're starting the whole process alone. My focus for this blog is one that I have known for quite some time about maximizing copy in blog format, but I had forgotten it in the midst of holiday and birthing of AB insanity. The concept of which I speak is to format your content in such a manner that makes it easily scannable for key, "hot" or tag words. This makes SEO, or Search Engine Optimization much easier and creates a document that is more easily categorized out there in cyberland. The process is easy. As you read this blog post, notice the words I have highlighted. They are the ones that will be considered as "hot" or key words to any search engine. In addition to this valuable formatting, highlighting key words also gives more movement and visual appeal, balance and excitement to your content. Imagine this blog post without the highlighted key words. It would read the same and have the same content value. However, with key words highlighted, there is more visual recognition and the reader's eye will take in the copy in smaller "bites" ensuring less visual exhaustion, per se. I'm sure you've started out reading a blog that went on for what felt like centuries, to the point that eventually, you grew so tired of waiting for the author to make their point and come to final conclusion that you just deleted the page and moved on. Right? I know I have done that. Heck, let's be honest - I'm personally guilty of writing that very type of endless blog. Sometimes it takes reading endless, involved blogs to remind us, as writers, that brevity is valuable in blogging format. This isn't written in stone, of course, but it is an important rule of thumb to keep in mind. From a reader's perspective, keeping each paragraph succinct, clear in message and visually appealing guarantees that you will hold people's attention. Breaking text, or content up with highlighting key words, keeping each paragraph relatively short and staying withing a reasonable length will guarantee that your readers will enjoy their time on your blog page. They'll be more inclined to keep pulling up your blog to read new posts and will be more likely to suggest your blog to other people to read and follow. That is your ultimate goal, to gain a solid readership. Now, in the theme of brevity, I will close and hope that this new series of Blogging Tips 101 proves to be of value to you, our readers. 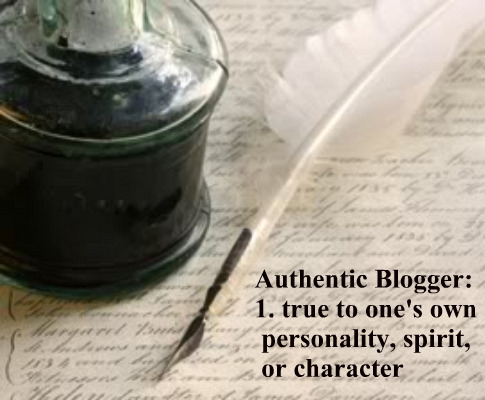 Please feel free to write comments and suggest future topics for our Blogging Tips series. We're always open to working on anything that provides encouragement and education to the blogging community at large. I'm not going to lie. I actually find the bold "key words" really annoying. It reminds me of the text books we had to read in elementary school, where all the "key words" were bold EVERY time they occurred in the text, and there were definitions of them in the margins (usually with a very cliche picture of a key and lock next to it). As a reader, it makes me feel like the author doesn't think I'm smart enough to pick out the important ideas on my own. Again - just my opinion. I don't mean to belittle your post, Dawn, by writing this. I'm just trying to get the conversation going. Hey all, just now catching up on FB, emails and blog stuff. Jenn, I don't find your comments offensive at all. That's what the Post A Comment box is for, after all! I agree with you that the whole concept of highlighting key words can be distracting. I wrote the post to offer up a valuable tool for those wanting to optimize their blogs w/ SEO concepts. This type of highlighting actually works best for shorter blog posts, and for articles in e-zine format. It's up to the individual blogger though. Also, I'm interested in our AB blog garnering national/international attention. In that regard, having scannable text is paramount. You never know what e-zine or newspaper editor IS doing SEO and scannable text searches to find fresh "new blood" with blogging authors, so every little thing helps to grab attention. The Blogging Tips 101 series is just to introduce basic marketing tips, IT stuff that Marty excels at, and anything else we both find that will be helpful to the blogging community. Jane, glad the post gave you some helpful tips for future blogs. It's fun to play around with different formats and styles as you're learning the whole blogging process! Marty, had to laugh at the "great minds think alike" thing that we keep doing! Keep the comments coming, peeps! Quick follow up - I wanted to post an example of a blog I write for a client that has scannable text format. This gives a better example of how this type of formatting can be a valuable marketing tool. If you get into Social Media Management, the client will want to have their copy maximized to grab the reader's attention immediately, and also to "hit" more easily for search engines that send out Bot Searches looking for that scannable text.